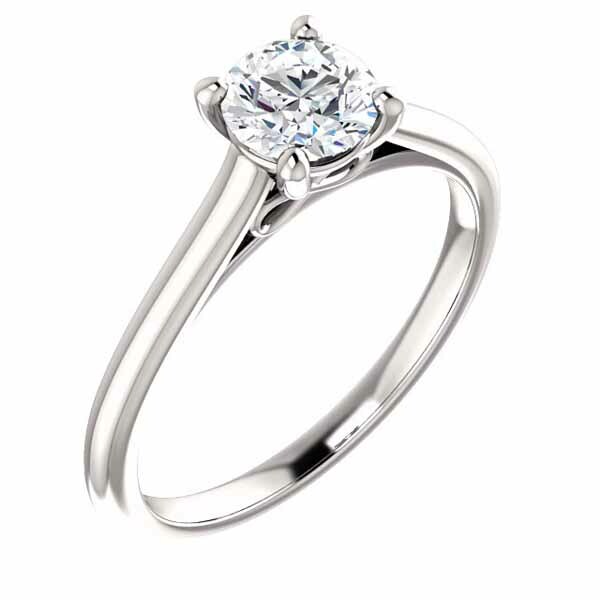 A beautiful white gold ring engagement ring designed for a cushion cut diamond. 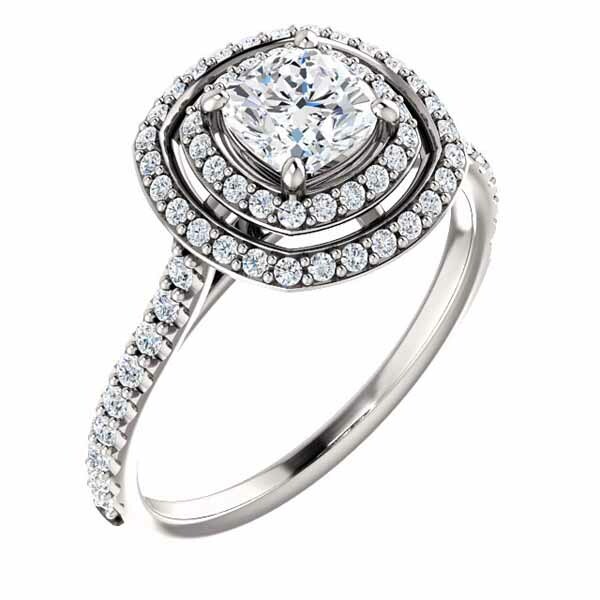 This double halo diamond ring has been designed for your special angel who deserves the glow of two halos. Please read our description below for more detail. If you have questions or wish to inquire about modifications before you purchase, please select our “Request a Quote” button. Using the “Request a Quote” button you can ask for quotes or inquire about one or more products. There is no fee or obligation when you ask us for a quote. Our prices include free shipping for this product. 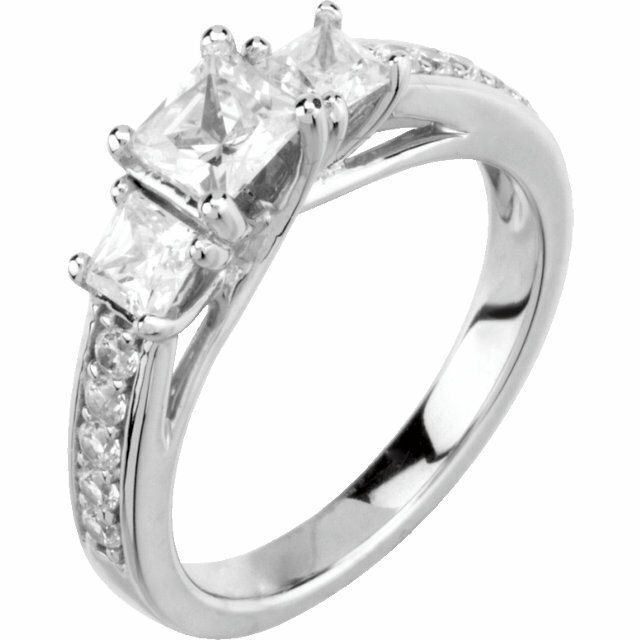 Specifications are based on a size 7 ring size. The diamond is a Red Box Diamonds®, ensuring it is individually selected and graded, comes with a one-year free loss protection insurances and is eligible for our Diamond trade-in program. Advise you of the properties your centre cushion diamond will have including the carat size, clarity, colour, symmetry, polish, and more. Ask you if there are any modifications you wish to make. 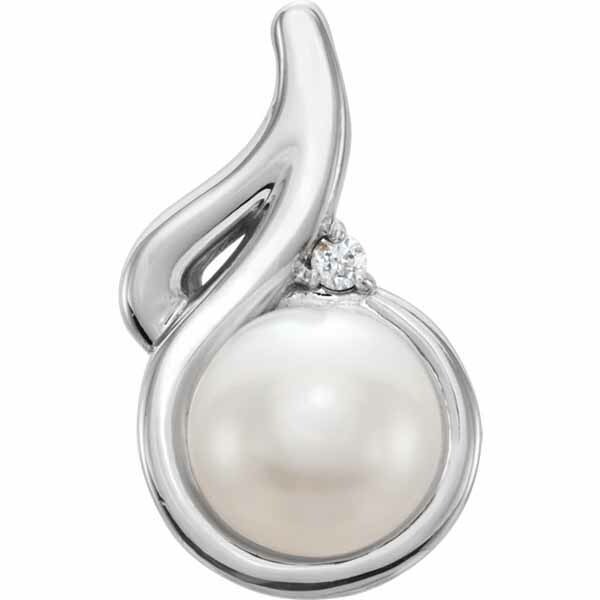 For example, you may wish to have the ring made with a yellow or rose gold, or may wish to alter the diamond properties. Answer any questions or concerns you may have about your purchase or general questions about our products or services. 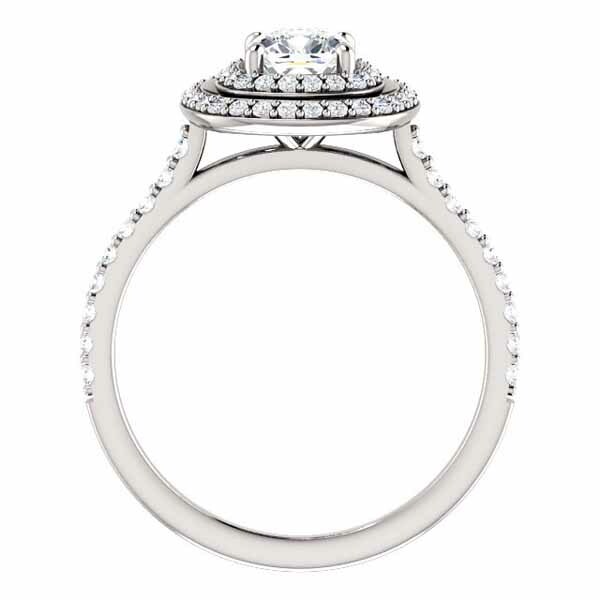 Confirm the final price of the ring including any modifications made. Your quoted price does not change with the market price of gold or diamonds. We are committed to giving you all the information you need to confirm your purchase and ensure your peace of mind. 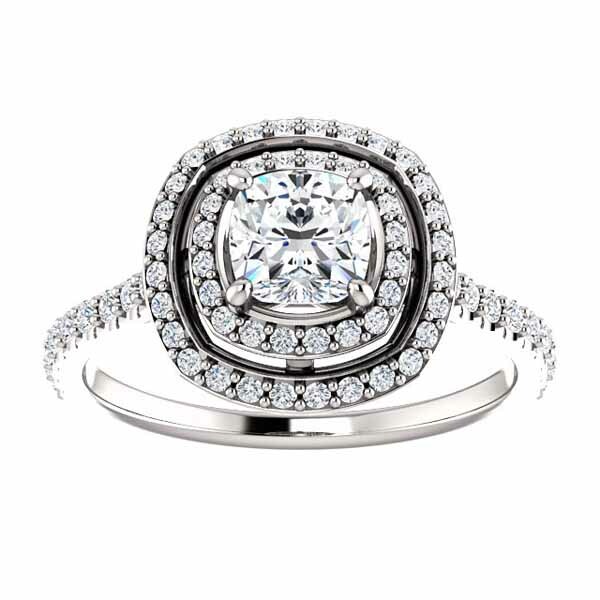 See our page titled “The Four C’s of Diamonds” to learn basic diamond attributes to consider when buying a diamond. 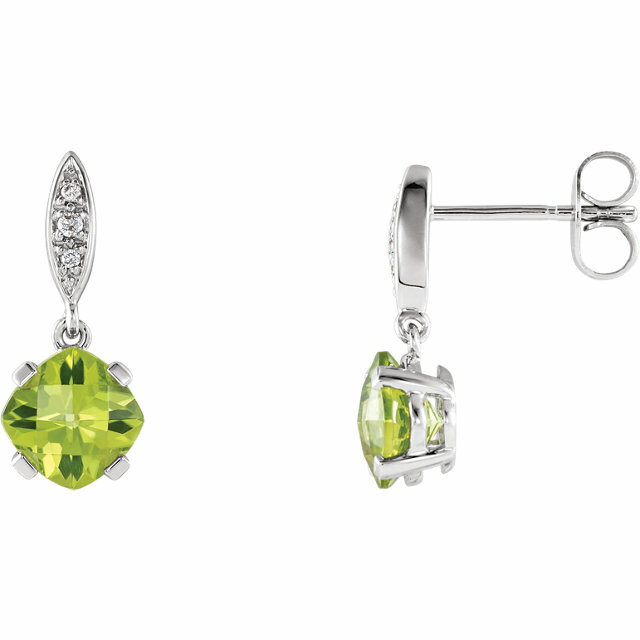 Diamond carat weights (CT.) represent the approximate total weight (T.W.) 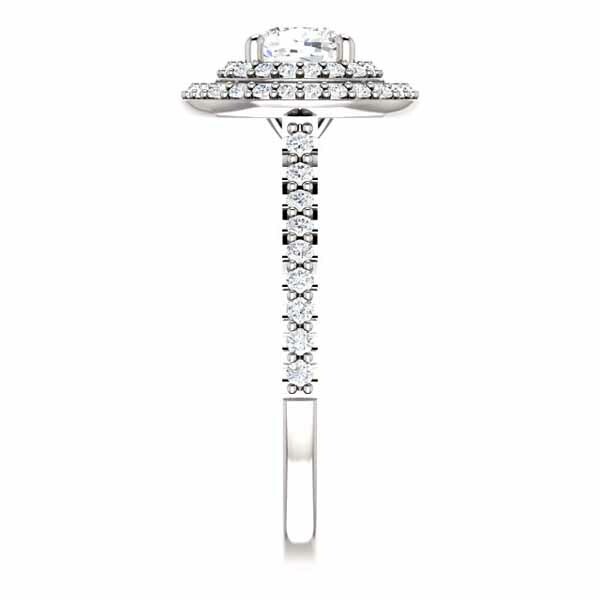 of all diamonds in each setting and may vary no more than 0.08 below the stated weight. Other product details may vary and will be confirmed before delivery. Typographic errors are subject to correction. Merchandise enlarged to show detail and may not always be exactly as pictured. Promotions, prices, styles and availability may vary by sales channel or time. Read our “Terms & Conditions” regarding Custom & Special Orders to become familiar with our policies specific to this type of merchandise.